A couple of weeks ago I wrote about my husband’s Aunty Jenny and her flower arrangement. 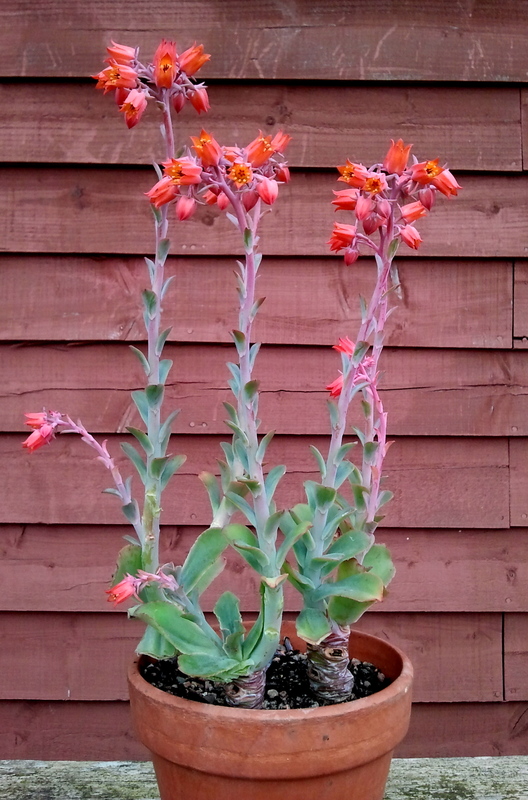 I now give you Aunt Kath’s Echeveria. I don’t know its name, the leaves can be a bit scruffy, but it flowers, cheerfully and without fail, every Spring. The aunt in question gave it to me many years ago, and I’ve managed to keep it going ever since. That is the great thing about sharing garden plants. Our gardens end up so full of memories of lovely people.